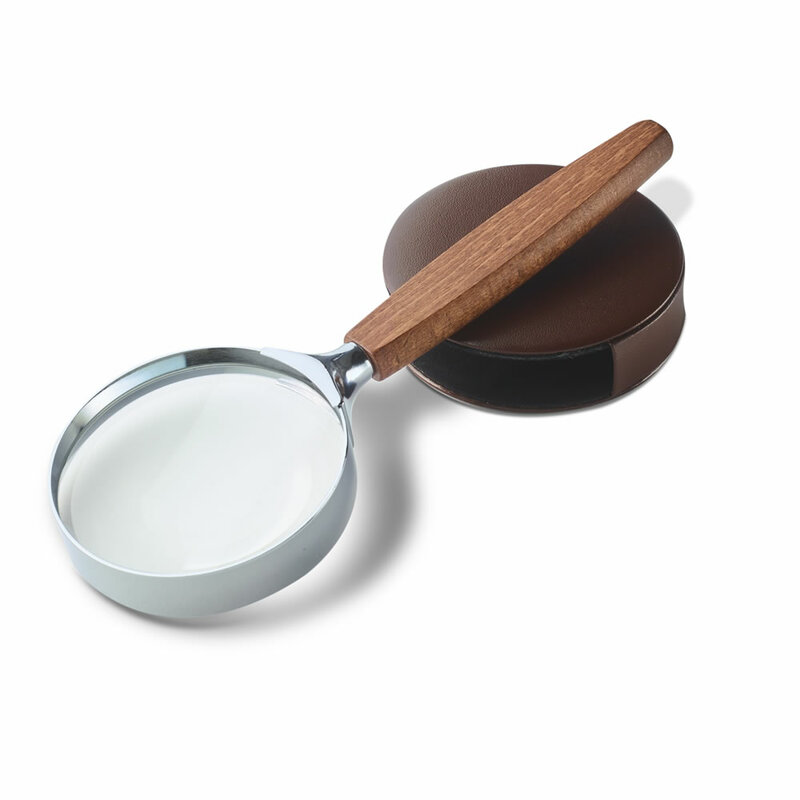 This is the magnifying glass made in Forchheim, Germany by Schweizer, the internationally renowned leader in ophthalmic optics since 1840. Sought by European craftsmen for use in workshops for over 170 years, Schweizer glass is known for its precise grind and expertly crafted frames. The scratch-resistant, biconvex glass lens used in this model provides crisp, clear 2 1/2X magnification when undertaking close work such as reading fine print or model building. Chrome-plated brass ring. With leather storage case. 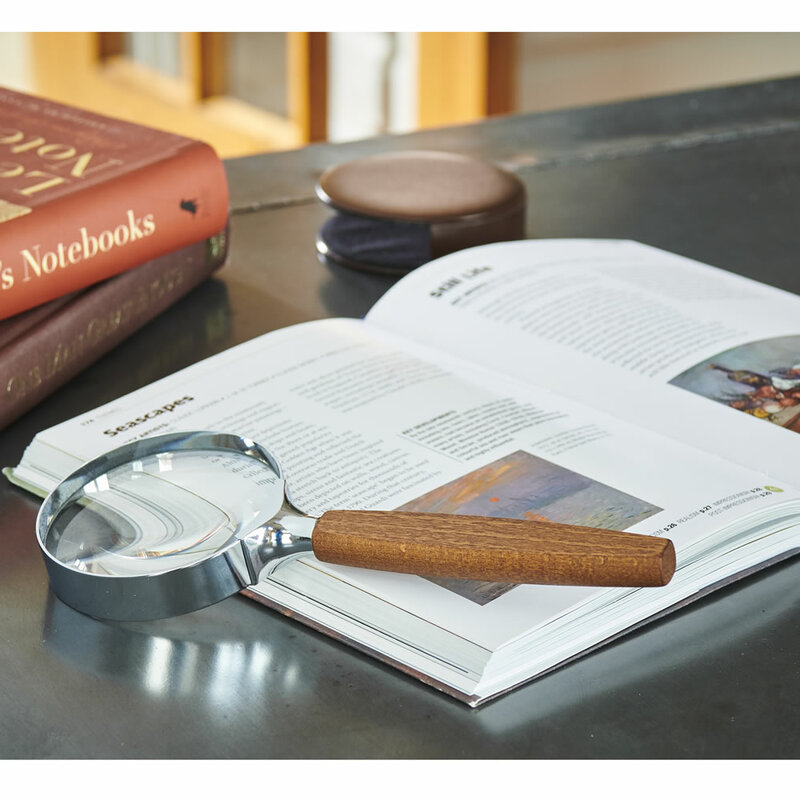 8" L x 3" W x 1/2" D.
The Genuine Schweizer Magnifying Glass come with The Hammacher Schlemmer Lifetime Guarantee. Items that we sell are guaranteed for their normal life under standard non-commercial use.